Cape Canaveral, Cruise Ship for $85 round trip $170. When you're making a trip to Cocoa Beach, FL, and need a ride, let us take you. 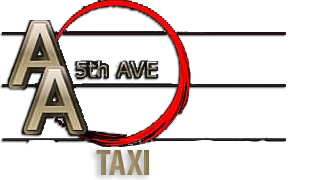 AA 5TH AVENUE TAXI offers quick and convenient limousine and taxi services in Cape Canaveral, FL, to travelers. We can get you to your destination on time, every time. No matter if you're going to a hotel or to run an errand, let us take you. Pay a budget-friendly price to get to your drop-off location by using our taxi services. Because we don't believe in hidden charges, our rates include any airport parking, toll, or Port Canaveral parking, fees. We also charge by the vehicle and not per person. If you're interested in being transported from the Orlando International Airport to Port Canaveral, you're in luck. For four passengers, we only charge a low $85 for a one-way trip. The cost of a round-trip is $170. To book a trip with our transportation service, you must pay a $25 deposit. This payment is nonrefundable if you decide to cancel your booking with us.